Okaaspain, tienda online de botitas en piel satinada con lazos de terciopelo. 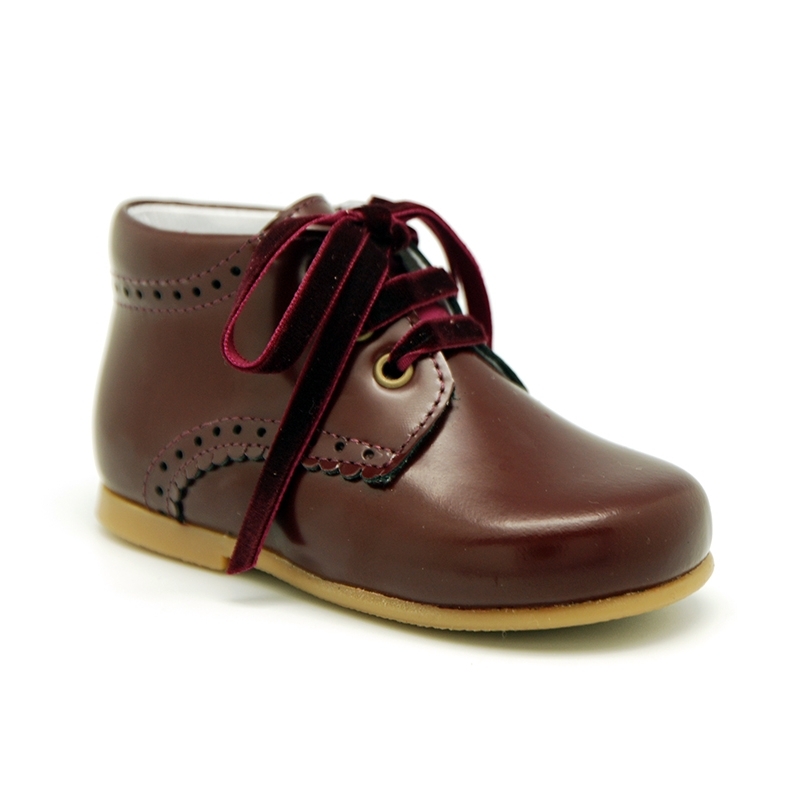 > Toddler girl>Ankle Boots>Classic little ankle boots in nappa leather with satin finish. 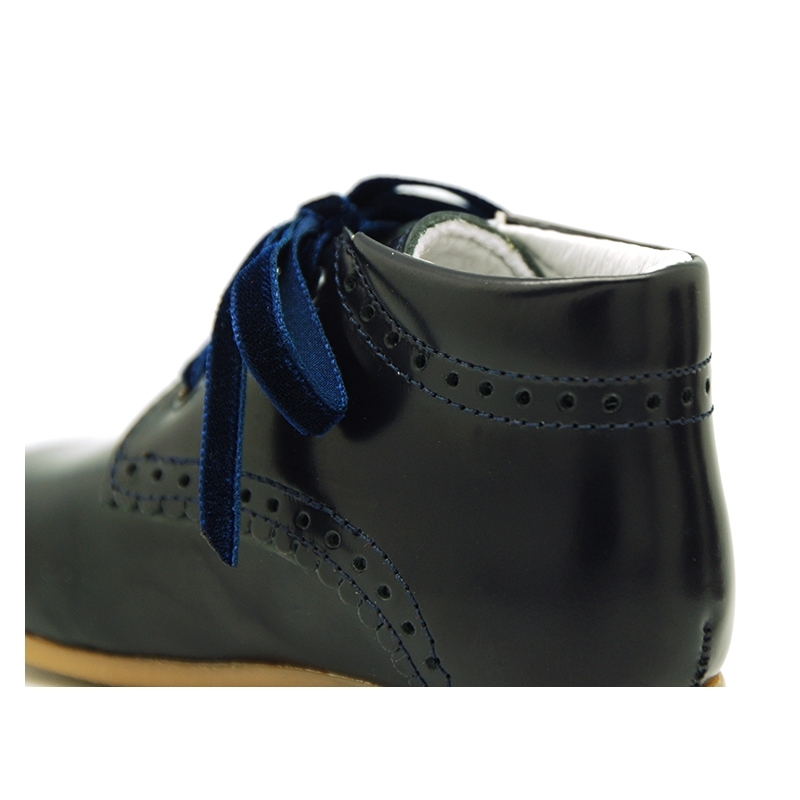 Classic little ankle boots in nappa leather with satin finish. 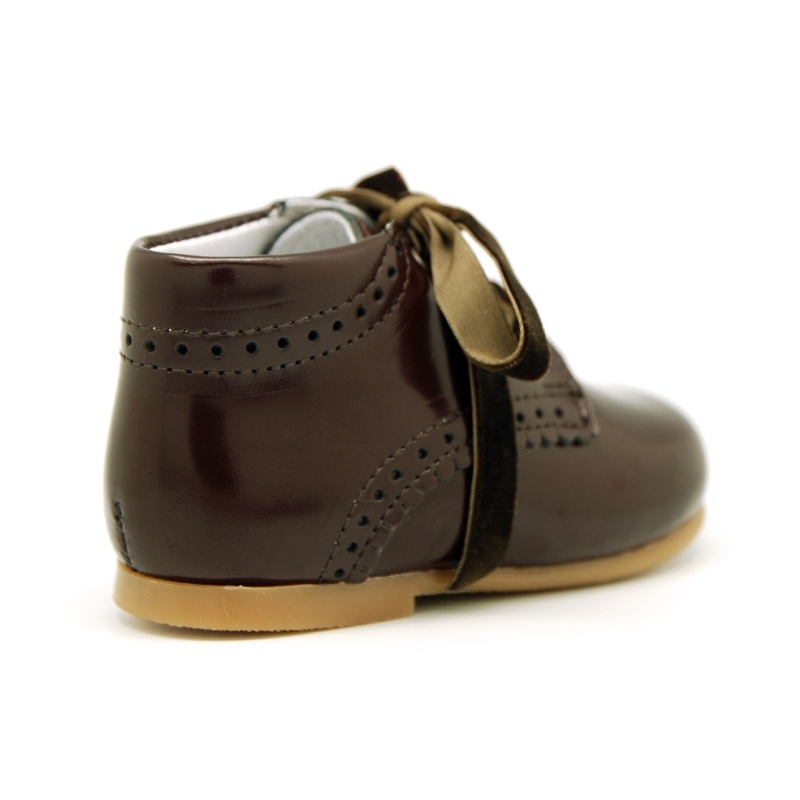 Classic little ankle boot shoes in nappa leather with satin finish and velvet ties closure for little kids. 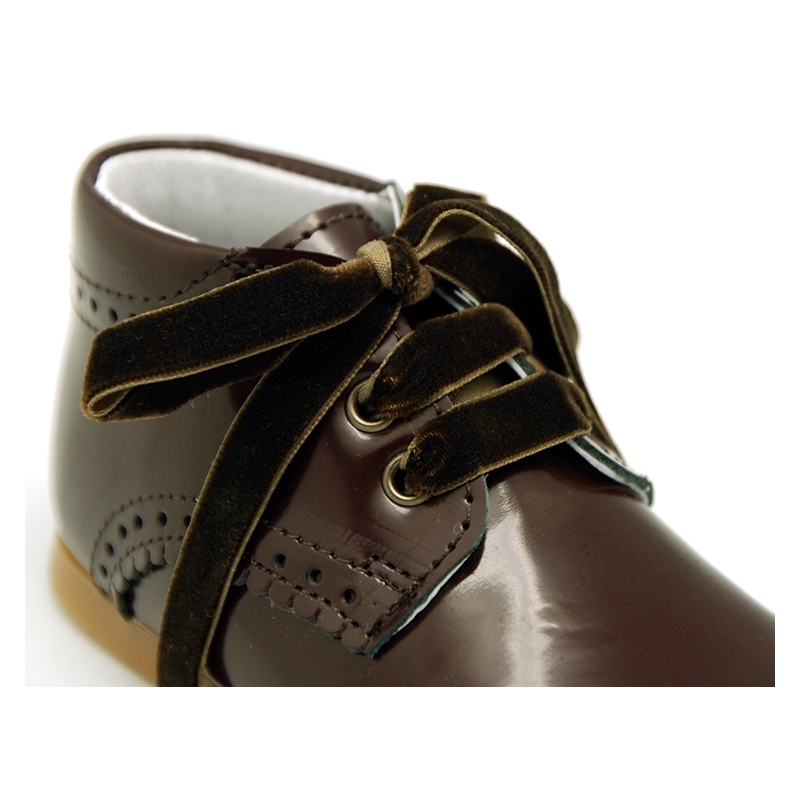 More info about Classic little ankle boots in nappa leather with satin finish. 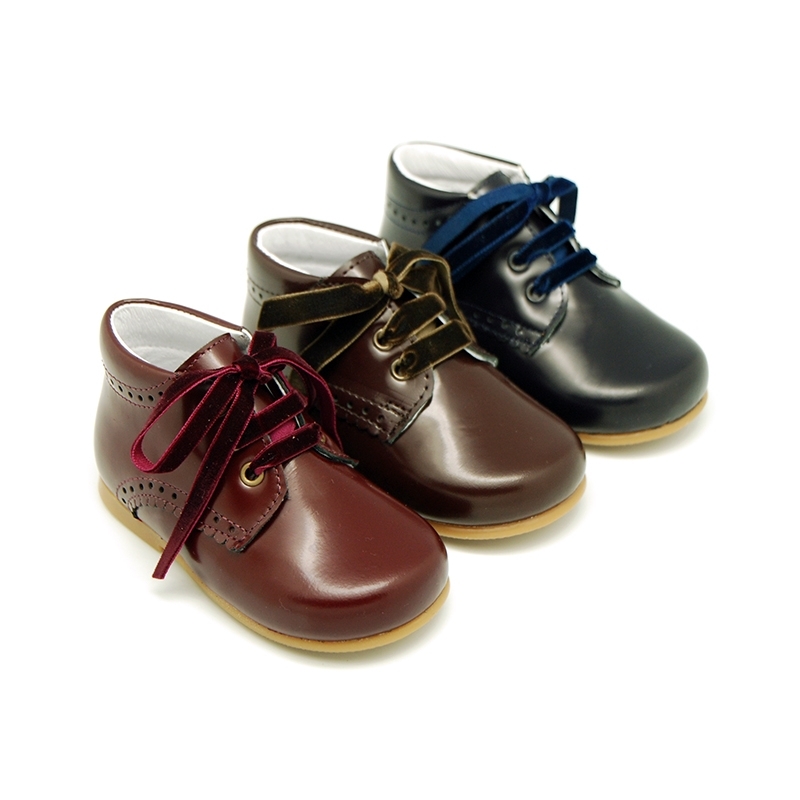 Classic little ankle boot shoes with waves and ties closure with velvet finish in nappa leather with satin finish for little boys and girls. 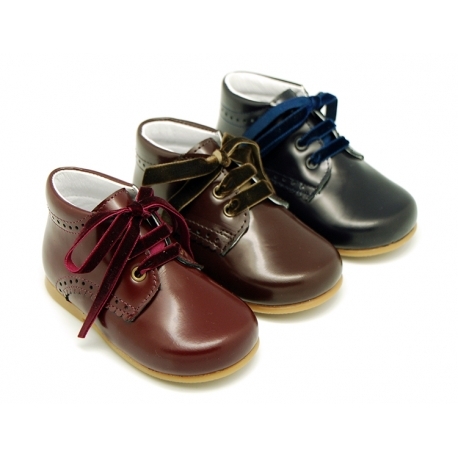 Really smart to dress this autumn winter and perfect for all special occasions. ItÂ´s a new model, very different and elegant. 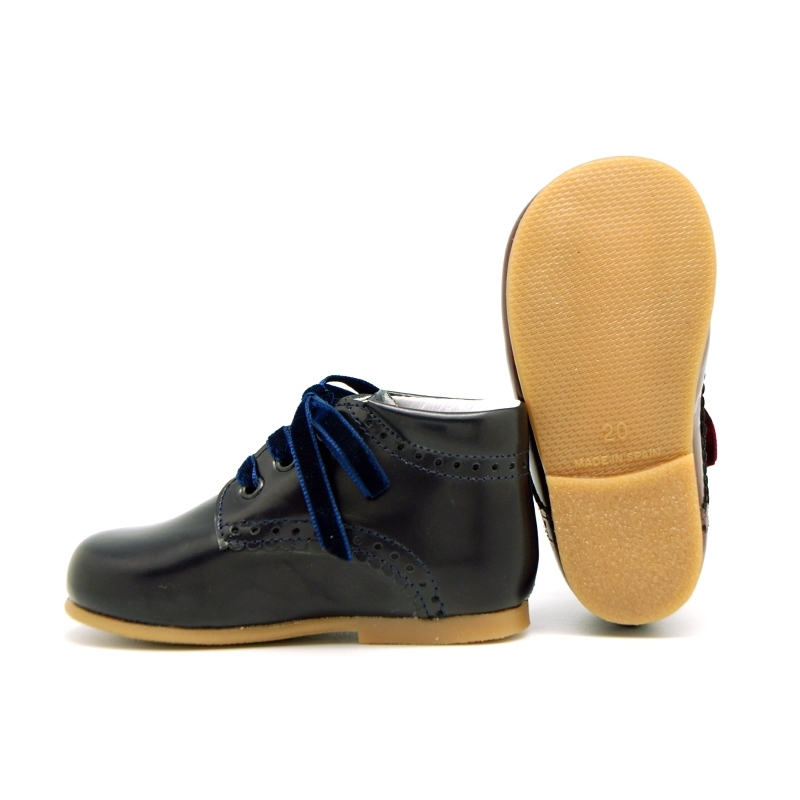 ItÂ´s a new model totally renovated of the classic English bootie. With ties closure for a better grip and more dress effect. 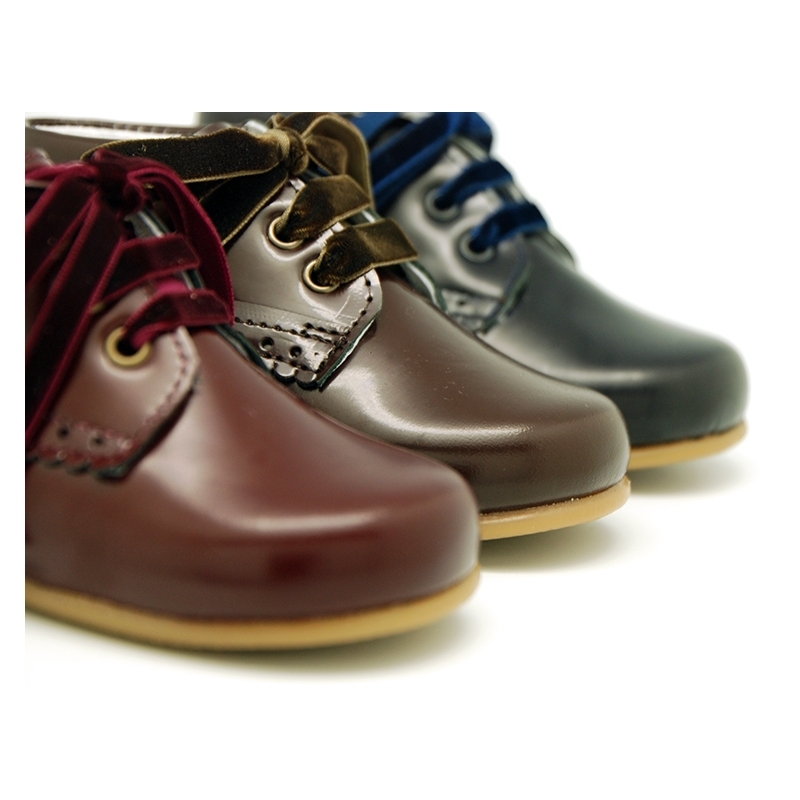 Made up of 100% high quality natural nappa leather with satin high finish. 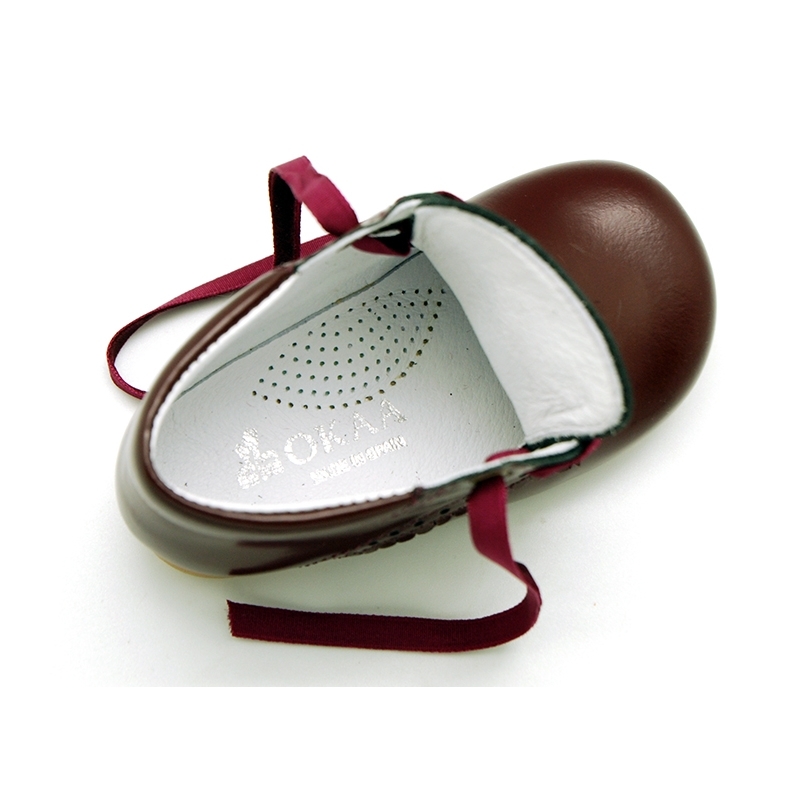 Fully lined in leather with anatomic footbed, which facilitates the natural growing of their feet, and perforated for good perspiration. 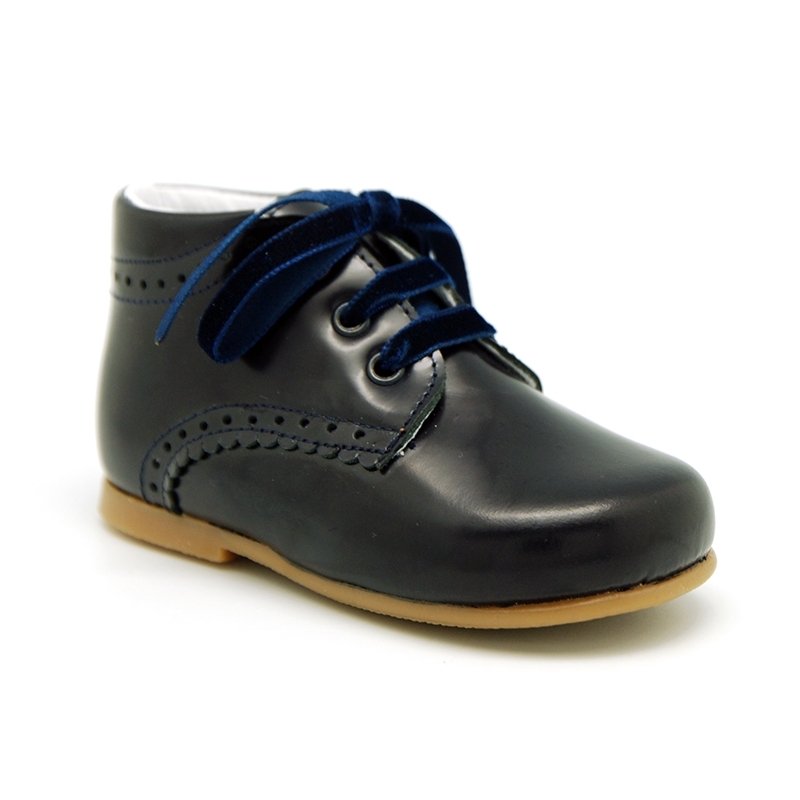 Outsole made up of non-slip high quality rubber and totally flexible in order they can learn to walk without problems. 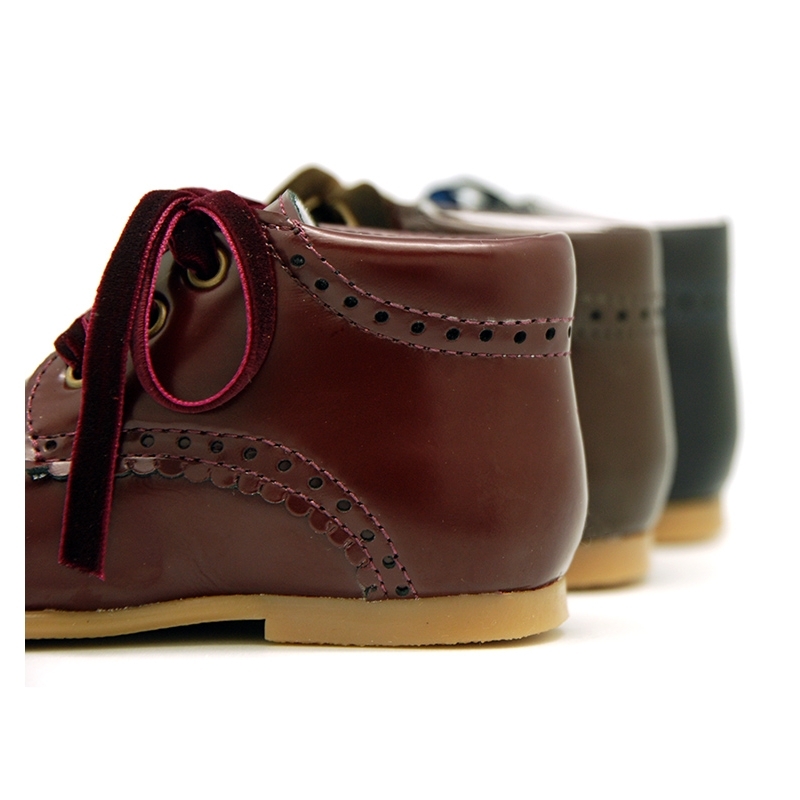 Data sheet about Classic little ankle boots in nappa leather with satin finish.